My name is Kate McQuillan and I live in Ireland with my husband Michael and 2 Dogs and 1 Cat (Coco, Joey and Smug). I run a very successful Pet Sitting and Dog Walking business since 2010, which because of the hard work we have put in we are now in a position to Franchise. I get 50,000 visitors per month to my website, 80% of which comes from the blog posts that I write on a weekly basis. I have over 39,000 Facebook Fans, which have come from the content that I share, the way I engage with my fans and the yearly competition I run for our business. Everything that I teach I do myself on a daily basis to build traffic to my website and engage with my ideal customers. I love helping others build their Pet Sitting business and see them enjoying the same success that I have had. I’m actually really good at this, and what is unique about working with me is that this is all stuff I have done in my own business (and are still doing) – it’s not theory! But let me tell you in more detail about me! 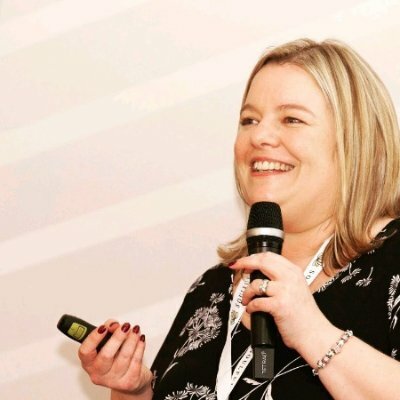 When I started Pet Sitters Ireland I never really planned for the business to be so big – I was really just looking at something quite local that would help people similar to me that wanted an alternative solution to pet care when they travelled away. We started out providing services locally, but it quickly became apparent that the services we were offering were in demand all over Ireland. That is when we really took the business seriously and starting investing more time and effort into growing the business and ultimately hiring people to work for us. Quite early on I was very interested in how I could promote the business. It was clear that we needed to do something more than a few posters and flyers around town. We needed a strategy that would make us stand out and become the go to company for Pet Care. 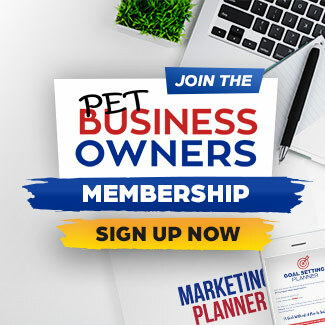 I didn’t want this to be a hobby, I wanted it to be ‘real’ business where we could position ourselves as the leader in the pet care industry. I love learning new things, and when I find something that I enjoy and am good at, I love learning even more about it. So when I started reading about the concept of content marketing and listening to podcasts and watching videos about it, I was hooked. Everything I read just seemed to make so much sense. Why wouldn’t I answer the questions my customers were asking, why wouldn’t I want to be useful and I’d just be plain mad not to want to engage with my customers on social media! It all made sense. So I just ran with it. I took that leap of blind faith and just did what all these leaders were telling me what to do. I read everything I could and set about implementing it into our business. Was every piece of content perfect – absolutely not! But I kept putting it out and more importantly I kept getting better at it! I actually felt like I was creating something really special and I was really proud of it. But more importantly I LOVED doing it. I found myself reading what the experts were saying and then thinking how can I apply that to the pet care industry. How would that work for my ideal customers. You see that’s the thing – all these experts absolutely tell you all about the principles of Content Marketing and engaging with customers – but no-one is telling you how to do that for your business type. So there was no-one saying hey Kate you need to write these exact blog titles. It took nearly 18 month months of hard work and consistent effort for our website traffic to increase from a few thousand visitors a month to 10,000 visitors every month to the website. People were starting to read the hundreds of blog posts I had written and were enjoying them. And what was most exciting was that I was starting to be seen as an expert in my field by providing people with the information that they were looking for. I am a big believer that it’s is important to work with people who are action takers. Those who are doing the things that they talk about and not just talking about doing them! Feel free to check out my website and Social Media Channels for my Pet Sitting Business. I have been a huge fan of Marcus Sheridan since I started my business. If you know me then you will know that! I love his down to earth approach to content marketing and the simple and clear way he explains things. I had been emailing Marcus about my business for a while, asking about his principles of content marketing and how I could apply them to my business. Marcus mentioned me on his Mad Marketing Podcast and this was how I met Chris from Learning Everyday . Marcus had mentioned the great things I was doing with my blogging and it was from this that Chris contacted me and asked me to speak at the Content Marketing Academy in Scotland. Chris interviewed me on his Podcast before the event – so in the Podcast you will hear me talk about some of the content I create for our Pet Sitting and Dog Walking business and the success that I have had. Listen to the Podcast Below and Contact Me With Any Questions! Since then I have been interviewed on lots of podcasts and talked about my Content Marketing journey with hundreds of people. And of course I finally got to meet Marcus Sheridan in Sept 2015 – where I had the honour of him singing Happy Birthday to me along with 100 other people!! As a result of the knowledge and real life experience I have gained in building our business, and the credibility gained in doing so, I now help people with the same issues that I faced. It’s not that the help isn’t out there on the Internet – but it’s that it is not tailored to your business. No-one is saying if you have a Pet Business you need to do X, Y, Z. Maybe you don’t know what to blog about? Or how to pick titles that will mean your blog posts are found! Maybe you are unsure how to engage your followers on social media? Or just don’t know what to post to start a conversation. Maybe you just want to some advice on how to run your business day to day? Perhaps you want to expand it, reduce the size of it, outsource some of it or even Franchise it. Whatever it is I know you are in the right place to get help! Because what you get when you work with me is real life experience. I’m not someone talking about social media and content marketing – I am telling you what I have done and what works! Listen to me being interviewed for the Small Business elevation Podcast.